Learn a lot about the landscape and be awed by ancient artifacts—this off-road, archaeological adventure takes you all the way back to the 12th century! Learn about the landscape and be awed by ancient artifacts—this off-road, archaeological adventure takes you all the way back to the 12th century! 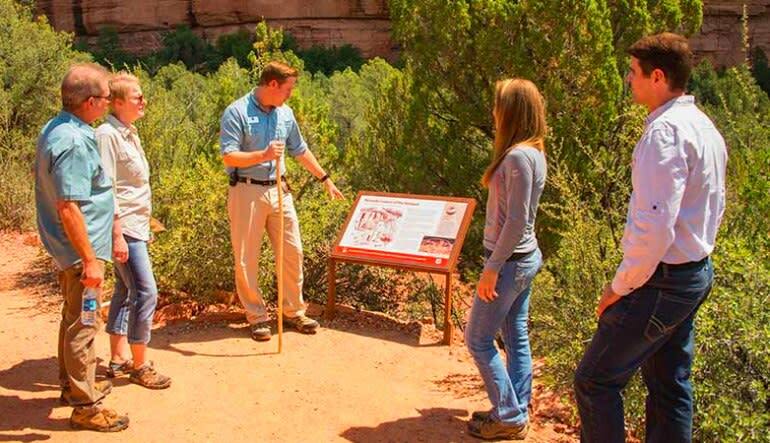 The Sedona Jeep tour travels through Red Rock Country to the Honanki Heritage Site. 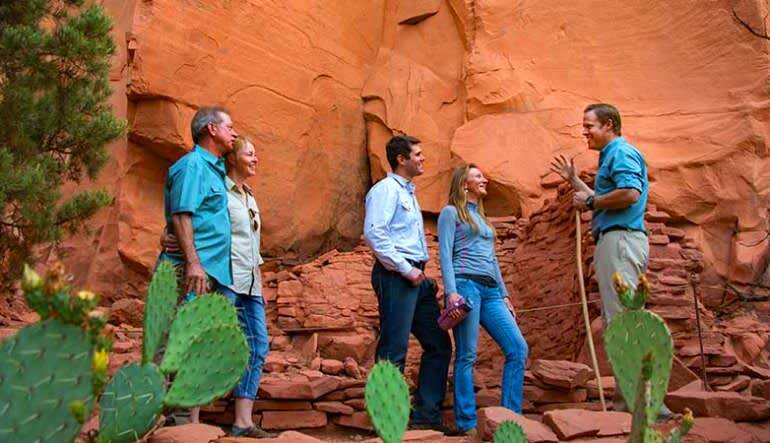 Home to the Sinagua people from approximately 600 to 1400 CE, the ruins feature dwellings carved right into the cliffsides. Marvel at ancient art and uncover the many mysteries of a tribe that disappeared more than 600 years ago. 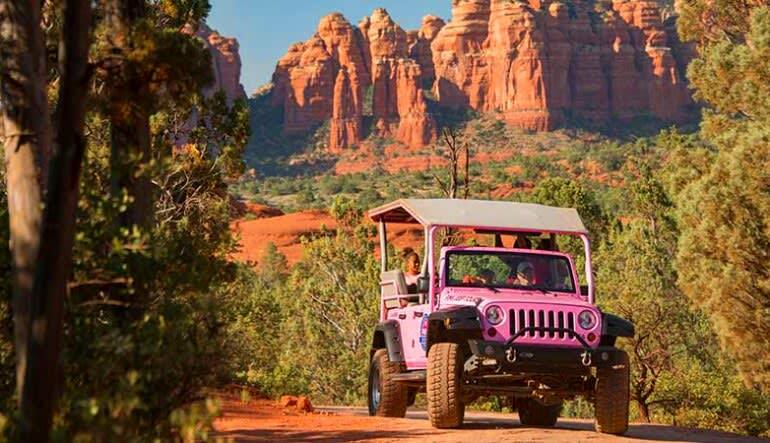 Travel into the Sedona desert for a 3-hour archeological Jeep adventure! Ride off-road in a customized Jeep to the Honanki Heritage Site. Take a 30- to 40-minute walking tour through the ancient ruins. 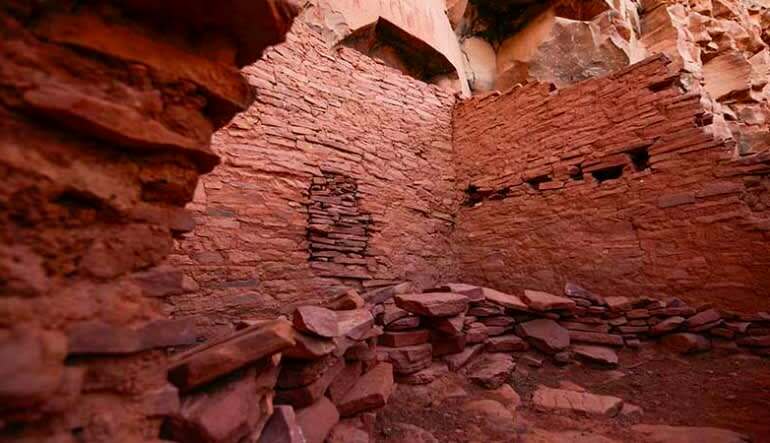 Learn about the history, language and farming methods of the ancient Sinagua! Discover centuries-old artwork and artifacts. 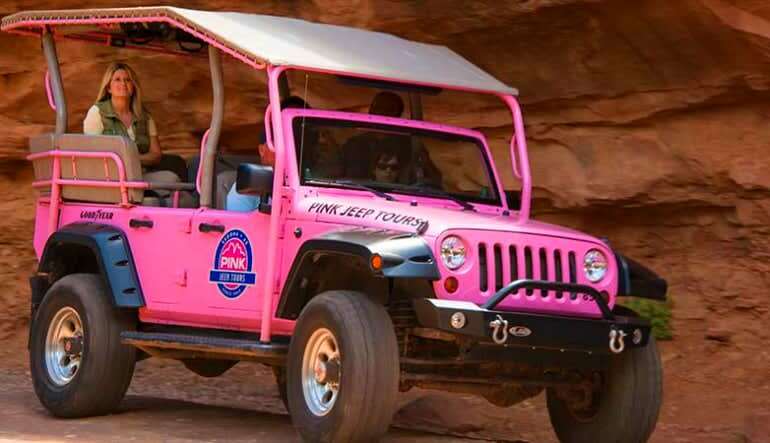 The tour’s perfectly customized Jeep is yet another reason to book this adventure today! Upgraded axles and Long Arm suspension transform these Wranglers into beasts that can conquer the most rugged landscapes. The ancient destination is without a doubt unforgettable but equally exciting is the desert ride that gets you there!